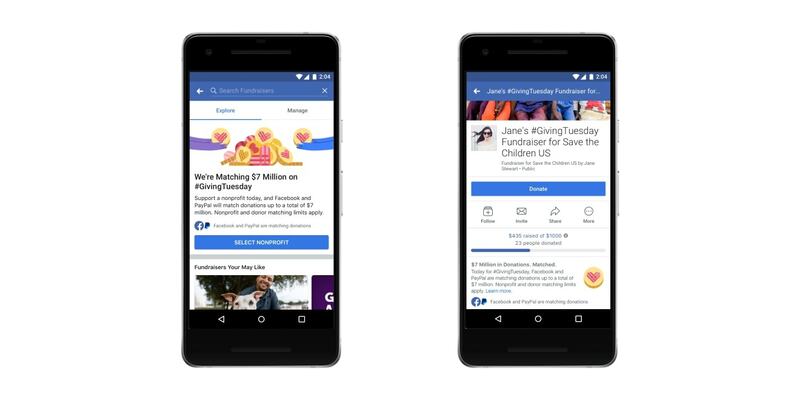 It was, indeed, a Giving Tuesday on Facebook, as the social network said it saw the largest amount ever raised via its platform in a single day, over $125 million. For comparison’s sake, last year’s total was more than $45 million. The social network also teamed up with PayPal to match $7 million in donations to U.S.-based nonprofit fundraisers. Facebook announced earlier this month that since it debuted charitable giving tools in 2015, people have raised more than $1 billion for nonprofits and personal causes via its Fundraisers feature and Donate buttons.